Onam season is finished and now motion picture industry is preparing for Pooja discharges. What’s more, this bubbly season, the Malayalam film industry is probably going to watch an inquisitive challenge. The movies will see the conflict of woman hotshot Manju Warrier‘s Udaharanam Sujatha with much-anticipated Dileep-starrer Ramaleela. Dulquer Salmaan’s Parava, the directorial debut of popular actor Soubin Shahir, and Solo by Bejoy Nambiar were slated to release this month itself. But till now, no official confirmation regarding the dates have been made. Tovino Thomas is preparing for two noteworthy discharges. Abhiyude Katha Anuvinteyum, the bilingual film, coordinated by B R Vijayalakshmi will be at the same time discharged both in Malayalam and Tamil. The motion picture will hit the performance centers on September 22. 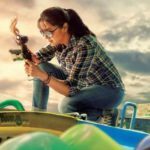 ‘Aami’ trailer: Manju Warrier as Madhavikutty strikes the ideal note !! Manju Warrier Was The Winner Of MKK Nair Award !!!! 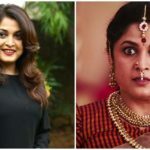 Manju Warrier Wishes Pranav Mohanlal !! Mohanlal Teaser: Manju Warrier as Lalettan’s die-hard fan ‘Meenu Kutty’ is a joy to watch !! Manju Warrier’s Movie Aami will be a Christmas release ! !